Main Size. Standard M10 expansion bolts with 150mm length, and the ring Inner Diameter is 25mm. Materials. Made of premium 304 stainless steel, provides a rust protection and precise size. Installation. Suggested a 14mm Dia. hole for drilling, and tight the anchor bolt with a wrench after putting the screw. The bolt transfers forces to the sleeve, with the expansion of sleeve, a solid connection has been built between a concrete wall and the wedge anchor nut. Application. Fit the concrete wall or masonry, for hanging or lefting the super heavy things like a big shelf. It's durable and reliable. Details. 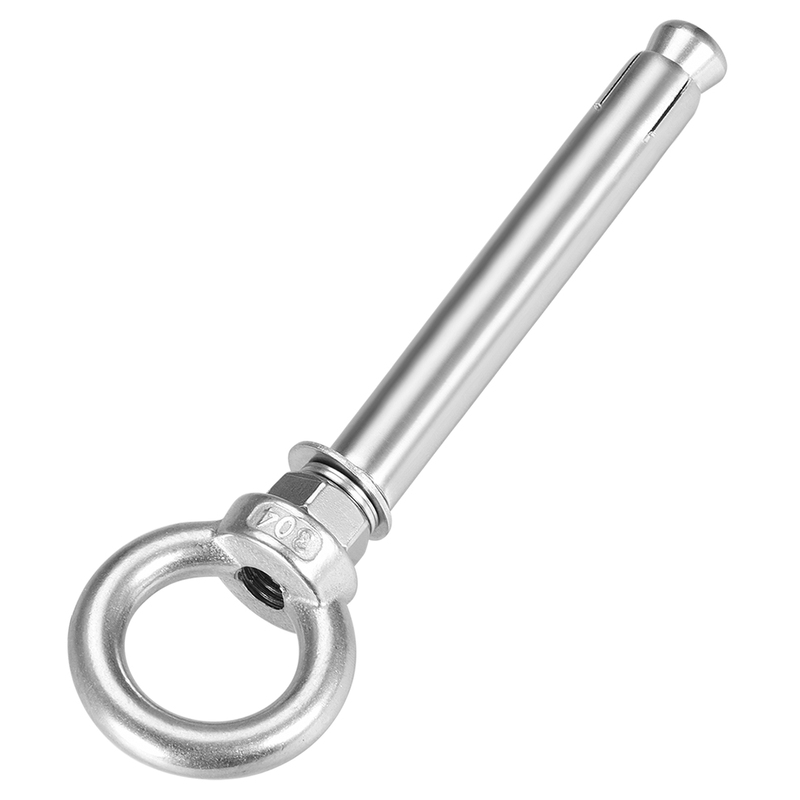 The eye type is drop forged eye, such eye bolts are designed to attach a securing eye to a structure and then tie to ropers or cables. Suggested Hole Size: 14mm Dia.